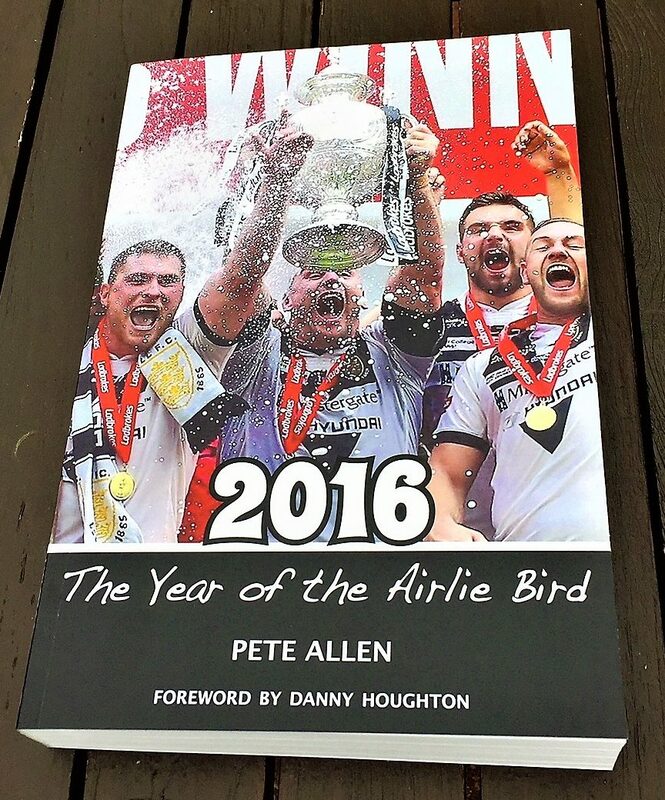 Hull FC’s season; sinking slowly into the west? 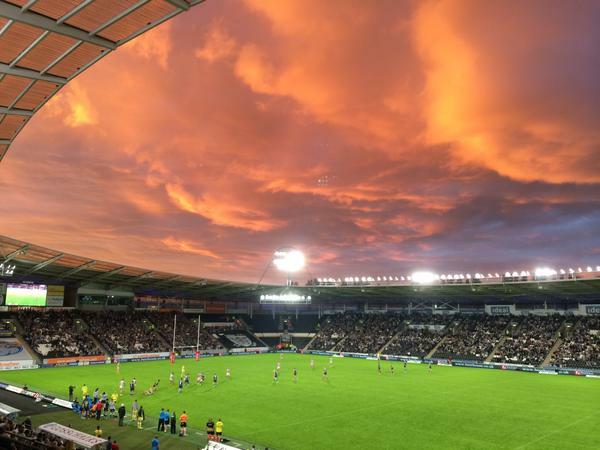 The sun sets on Hull FC’s season as the Club I love blow their chance of something to remember their 150th season with! Then of course there was the Rainbow over the South Stand, the gold at the end of which was no doubt firmly planted in East Hull! That was a fighting, battling display, of course it was and there are no question marks whatsoever as to the fact that in the dressing room beforehand they all wanted it as much as we did out on the terraces. However once again, for the third game running, it was a flawed display full of forced ball, blind alleys and frustration, in a match littered with stupid mistakes and unforced errors. Our execution was bloody woeful! It was as bad as I have seen, but then again that, for us long suffering FC fans, is becoming par for the course isn’t it. The fact is for me that even when you put those mistakes and frustrations aside, until we learn to play the ball more quickly and dispatch our passes a lot faster, we won’t trouble any opposition that has a quick line speed like Leeds had on Friday! They were really good and executed superbly while we were just poor! The sight of Brian Smith sat there in the West Stand scribbling away and plotting our upcoming downfall hardly made me sleep any easier afterwards either. The thing is of course we as fans just sat there and accepted what we saw, because although beforehand most of us were wound up with anticipation (dare I say even excited about it all), it was in the end business as usual. I wasn’t on my own in my enthusiasm either, because for the first time for ages the crowd was fully behind the team and doing their bit in an electric pre match atmosphere that it was brilliant to be part of. Stood there on the terraces singing ‘Come on You Hull’ it was just like the old days; well it was for a few minutes at least. What we felt though was always going to be a very fragile optimism, although there is little doubt that for the first time in ages at five to eight the fans had the smell of blood back in their nostrils!! Well the Wembley hotel is definitely on hold!! Look guys if you weren’t there, our 500th game in Super League was disappointing, but in the end it really wasn’t that bad! We should have won, but perhaps again when under the cosh a better coached and drilled team beat us to the ‘finer points’, in another real arm wrestle where we were in with a chance and the majority in the crowd of around 16,000 couldn’t breathe easily until the last minute. If I’m honest I have to say that you shouldn’t despair too much either, because watching that Leeds side yesterday and the way we played against them, we will never have a better chance of beating them than we have this coming Friday. However the injury to Mini was massive and as was the case at Catalan, once again we fell just short as we created and then blew gilt edged chances that could and should have won us the game. So in the end it was ‘same old’ because we couldn’t put the opposition away and with the line open a dropped ball by Sa near the end summed up our afternoon, as another massive following of ‘Faithful’ fans trudged out of Headingley to once again ponder on what could have been. That though is just how close we came, before a last second try for the home side made it look a more resounding win than it actually was. As for our lot, well we were far from convincing but I have to say that Leeds weren’t that convincing either. That said and however close we came, we’re back to not being able to get over the line in these close encounters and it’s sad to say that after our performances in the last two games our top eight prospects, (that should have been well sorted by now) hang in the balance. For me, with just 5 games left, the ‘League of Death’ is beckoning and the message for us and three other Super League Clubs is now becoming; in future you should be careful what you vote for!! !